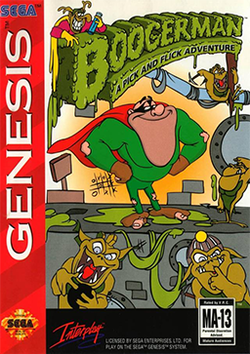 Boogerman (fully titled Boogerman: A Pick And Flick Adventure) is a platform game released on the Sega Genesis in 1994 and the SNES in 1995. It was developed and published by Interplay. This page was last edited on 30 April 2015, at 00:31.